I think it looks good, nothing amazing so far but it definitely looks like a fun western with a great cast. Just a warning, I haven’t actually seen any Lone Ranger… well anything so if I sound like I don’t know what I am talking about it’s because I don’t. The two unlikely heroes line be done before but so has this material and as someone with no experience with the story I would quite like to see a retelling, hopefully it won’t be catastrophic disaster. Armie Hammer and Johnny Depp seem like a good team up from what I can see from the trailers and with the Pirates of the Caribbean director and producer helming we should get some good action adventure. Oh and Hans Zimmer on score very nice. I do however have a fear that with a budget of over $250M!!! It won’t be the success Disney are predicting, still going to be fun for us. Now let’s check out the trailer. 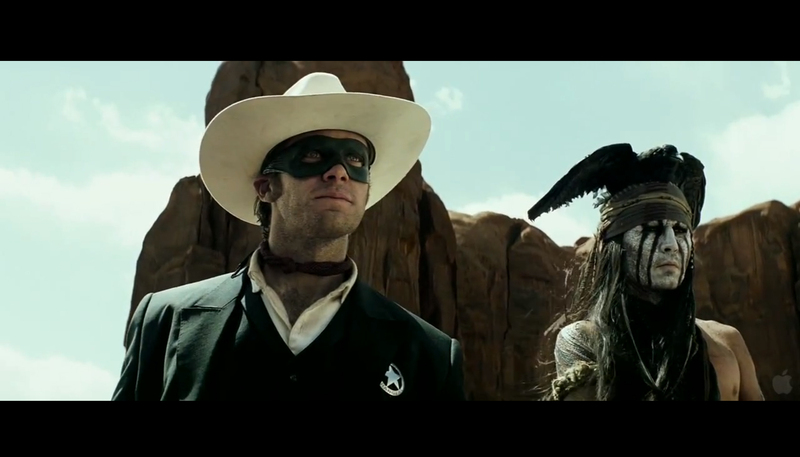 From producer Jerry Bruckheimer and director Gore Verbinski, the filmmaking team behind the blockbuster “Pirates of the Caribbean” franchise, comes Disney/ Jerry Bruckheimer Films’ “The Lone Ranger,” a thrilling adventure infused with action and humor, in which the famed masked hero is brought to life through new eyes. Native American spirit warrior Tonto (Johnny Depp) recounts the untold tales that transformed John Reid (Armie Hammer), a man of the law, into a legend of justice-taking the audience on a runaway train of epic surprises and humorous friction as the two unlikely heroes must learn to work together and fight against greed and corruption. 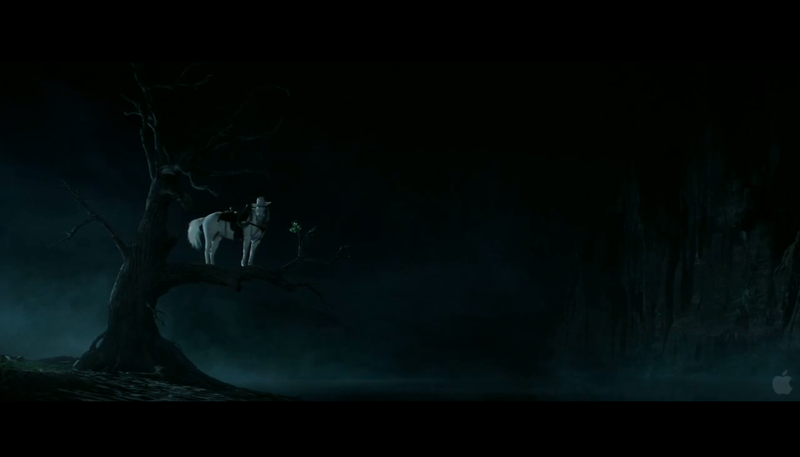 First scene in the trailer that I thought this film was going to be quite funny. Jonny Depp delivers the line perfectly and whilst I think a Native American Indian should be played by one I still think Depp can do a great job in the role as Tonto. He tends to work well with strange and eccentric characters. 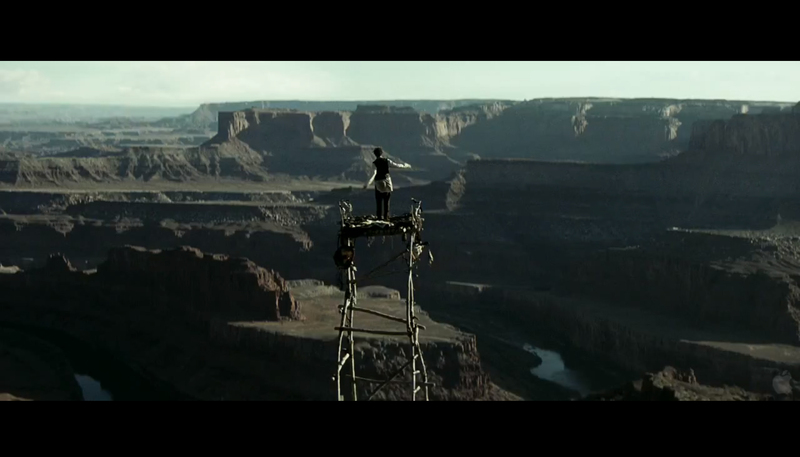 This film is looking like a good advert for the US State Parks, beautiful landscape shots throughout this trailer. The photo above looks fantastic and another favourite would have to be when the Ranger and Tonto are riding together, the scene looked great and I hope for more in the film. I must say that they look quite good in the roles and full costumes. Armie Hammer looking sharp and well suited for the role (I think?). Jonny Depp looking like a man dressed as a Native American Indian and with a stupid crow on his head. Should mock it but to be honest it puts a smile on my face and so I will this one go. Well that’s my views. Now what do you think about this trailer? 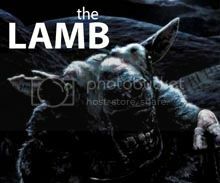 yep, i have a few reservations about this one, but it looks promising. Perhaps this one will take over where the Pirates of the Caribbean franchise lost it for me. Ha–I didn’t realize my comment got posted twice (I didn’t realize I wasn’t logged on the first time). Meh. Feel free to delete the superfluous comment. ahaha, I didn’t notice the crow, either, until you pointed it out. I think I’ll see it. But…$250 million? That’s absolutely ridiculous. I can guarantee you that no movie needs a budget that big. Whatever, though. I like Verbinski, Depp, and Hammer seems solid. I think my favorite part is the perspective trick they do with the part of the train that broke off and flew in the air. The first time I saw that, I was shocked at how big it was, lol. I think it looks fun, I’ll watch it but $250M really? To put that in perspective Man of Steel has a budget of $175M and Pacific Rim has $200M, how does that work? Pacific Rim budget, now that makes sense, monsters, robots and destruction of cities. What is $250M needed for in a western? Nice review. I won’t be seeing it. The trailers just do nothing for me and I know the makers who made it are known for super long movies. I think it is odd that this one is debuting so late in the summer season. I figured May or June. I would think Pacific Rim would have more of a reason to be higher budgeted, crazy business. Well I am glad somebody is interested in seeing this, so far I have gotten low views, likes and comments on this review and what comments I have gotten haven’t been hugely interested in seeing this. Defintely wouldn’t go see it at the theater. Might check it out at the library once it hits DVD. Wow that’s something Disney doesn’t want to hear and quite frankly looking at my views on this trailer review not many people are interested at all. John Carter is sitting in my to watch some time stack. That’s an interesting point, there are a lot of similarities between John carter and this, budget, lack audience awareness and something that has been done before but in a new way. “Something very wrong with that horse”. I gotta say that cracks me up every time I see it! I plan on checking it out. There doesn’t seem to be much middle ground with it. I think it will either be a great time like the first “Pirates” movie or a complete disaster like…well…the last “Pirates” movie. Will it be Pirates 1 or Pirates 2? Placing all bets! You going to see it? That Armie Hammer dude looks tall in that poster. 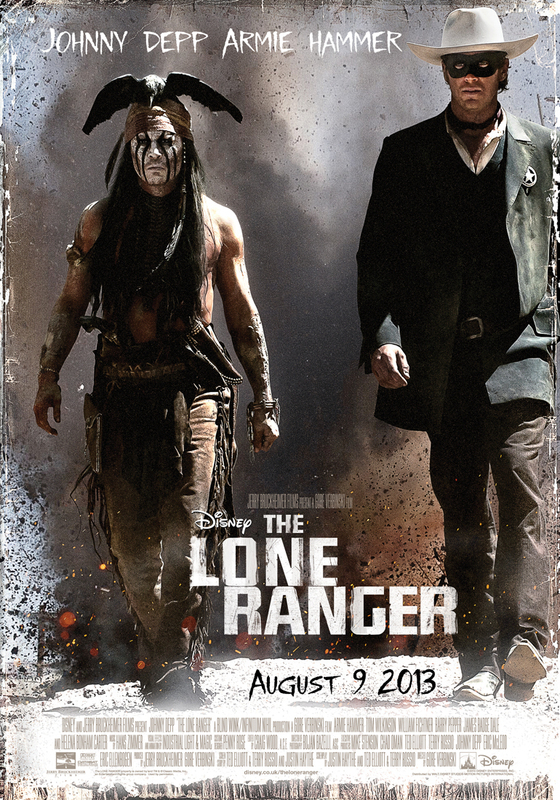 The Lone Ranger was before my time so I won’t be in any rush to see this.